It’s always exciting to see a film where you instantly know the director and cast are “ones to watch,” and this is one of those movies. 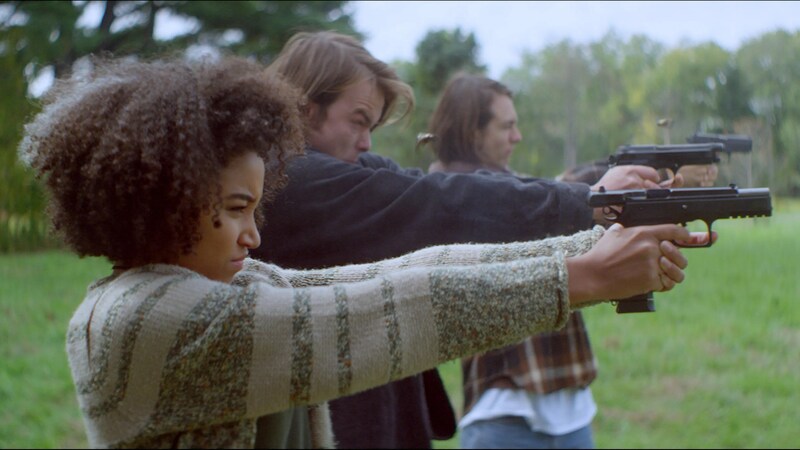 “As You Are” is loaded with so much talent and originality that it’s shocking to learn this came from a first-time writer / director, Miles Joris-Peyrafitte. The real star of this 1990s-set mystery are the young actors (super talented Owen Campbell, Charlie Heaton and Amandla Stenberg), all fantastic and believable as a trio of angsty teens with some pretty serious problems of their own. Their relationship feels so real and rich and honest. The director’s skills of working with his actors far exceeds his slow storytelling style, and he is able to get strong performances from each of them. I think we can expect some great things from this director as he hones in on his craft (the storytelling style on display here is very effective; the movie starts out with a gunshot in the woods and then is told in various flashbacks from different points of view — all interspersed with VHS police station interviews). We know something horrible has happened, but we don’t know what or to whom. This movie isn’t perfect but it’s an engaging take on the classic coming of age story, and it had me fully immersed through the end credits. Set in the 1990s, “As You Are” is a coming-of-age movie that tells the story of two teenage boys growing up in upstate New York. While not polished, “As You Are” is a solid film. Supported by strong performances from its leads, the movie effectively channels the feelings of adolescent outsiders who are struggling to find their place in the world and amongst their peers. This is a great example of what independent filmmaking should be: a simple story, written well and supported by solid acting, told honestly. We did disagree big time on a Sundance movie. That review will be coming.